The art that Boswell’s Leah Wilson enjoys is varied: She sculpts. She paints with acrylics. And her passion, for the past six years, is felting, using wool to create her signature gnomes, all of them soft and happy. 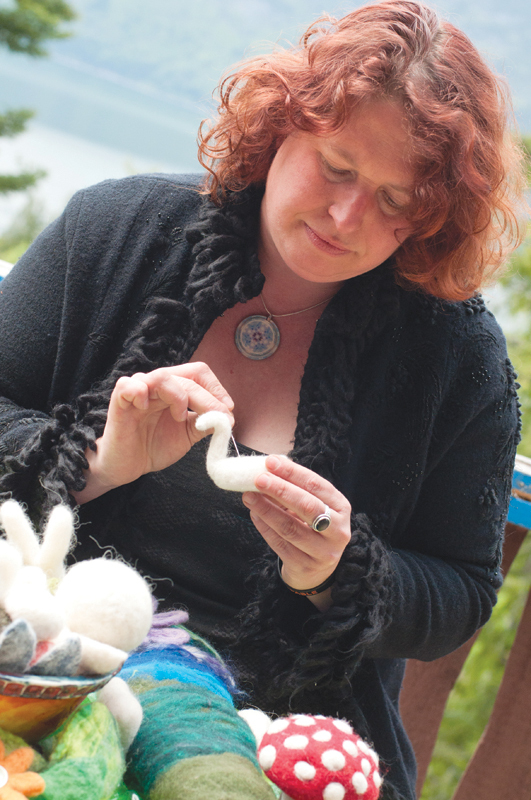 Six years ago, she discovered felting — the process involves repeatedly piercing a ball of wool with a barbed needle that pushes fibre in but doesn’t pull it back out — and began creating flowers and accessories for hair, and pins for hats and jackets. “I wanted to bring joy to the felt,” says Wilson, who moved to Kootenay Lake’s East Shore 11 years ago. After being given a book that showed the location of local gnomes, she did some online research — and although she didn’t like what she found, it served as inspiration to do something different. With that, Amazing Gnomes was born. Wilson started displaying her work on a blog, Facebook and Youtube, flooding the Internet with memes (such as, “Be the gnome you want to see in the world”) and creating videos featuring gnomes and other creations. 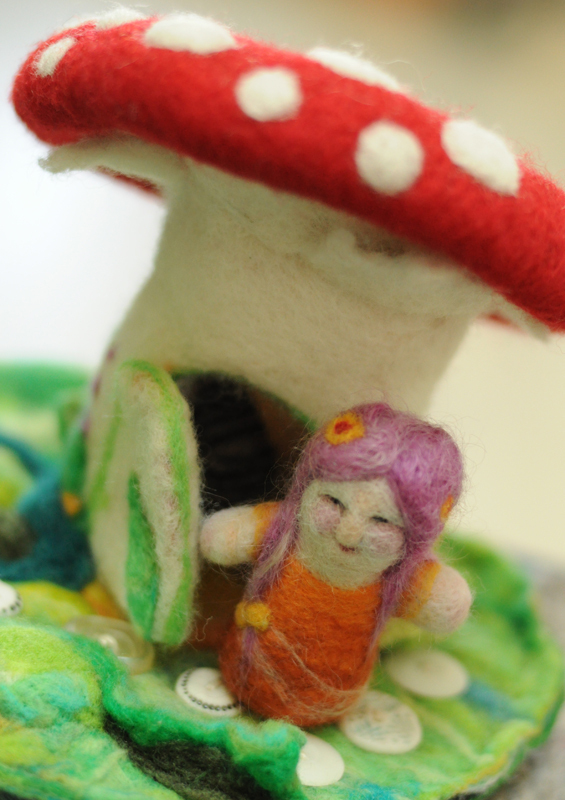 She’s created companions for the gnomes, such as bears, caterpillars, rabbits and owls, and also developed playscapes, including toadstool homes and yards, made of felted pieces she cuts up and patches together. At first glance, the pieces seem like children’s toys — although felted art can come undone with too much hearty play — but the artwork draws people of all ages and walks of life. Kootenay adults, Wilson has discovered, understand her work far better than those elsewhere. Wilson grew up in Skookumchuck and went to school in Kimberley, eventually working in a gallery there after studying fine arts in Toronto and Victoria. She enjoyed working with wax and bronze in art school, and found that the study of positive and negative space has carried over to felting. She plans to eventually try her hand at substantially larger gallery pieces, reminiscent of the Nelson artists’ work that attracted her to felting in the first place. Wilson quickly fell in love with the texture of wool and process of felting, as well as the ability to carry over the colours found in her painted work. For many felters, three-dimensional work isn’t the ultimate goal, but it’s become a trademark for Wilson, and people take her pieces with them in their travels and day-to-day life. And she’s happy to pass on her knowledge, creating new three-dimensional felters, with a class scheduled at Creston’s Fly in the Fibre. •Amazing Gnomes products can be found at Fly in the Fibre in Creston, and Dog Patch Pottery and Barefoot Handweaving in Crawford Bay. To learn more, visit amazinggnomes.com.